Courage means not eating these Cookies Unlimited treats for three days because I had to take snaps of them first. Actually, that's not entirely true. I ate the whole stack of Almond Butter Crisps prior to taking photos of it because I'm weak and vulnerable. I regret nothing. They were awesome. Out of all these cookies, the ones that clearly gave me mouthgasm were the crispy cookies. I kept eating one after the other thinking that since they're thin, I wouldn't pack on that much pounds. I stacked them up, and tried to eat them like a burger. I didn't succeed. I sent a lot of cookie shards to the floor. Such a waste of good cookies. It was worth a try, though. But seriously, these lace crisp cookies are delicious! The thin, sweet sheets are glorious enough on its own. 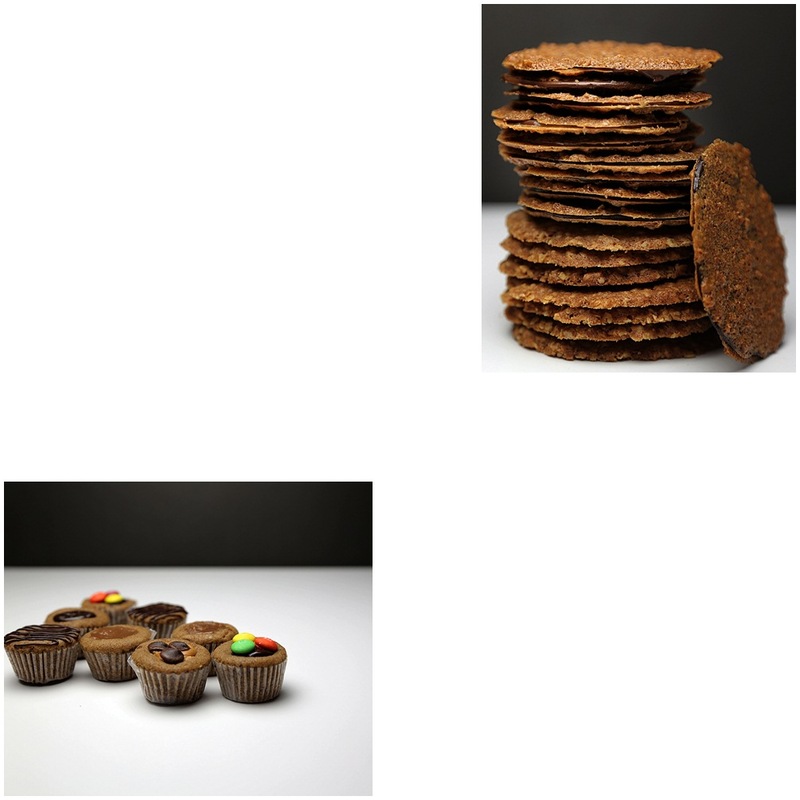 They pushed the mind-altering factor by sandwiching Belgian Dark Chocolate and Hazelnut Chocolate between the crisp cookies. Cruel people they have there at Cookies Unlimited. So, so, so cruel! I like their sugar-free version, by the way. It's not something that you force yourself to eat because it's good for you or it's required by your doctor. Surprisingly, I enjoyed it! The enhanced flavor of oatmeal made up for the lack of sweetener. My boys enjoyed the cookie cups the most. Above are Chocolate Ganache, Peanut Butter Chocolate Chip, Salted Caramel Chocolate, Nutella Chocolate, M&M Chocolate, and Cream Cheese. As for me, well, the Salted Caramel Chocolate, Peanut Butter Chocolate, and Cream Cheese certainly made me happy! Heat them up for five seconds for extra eating pleasure! I prefer the Soft and Chewy Cookies to be just a tad bit chewier. The flavors, however, are fantastic! The taste will make any glass milk beg to be dunked into. The dense mounds with slightly molten middle are on the right side of sweetness. 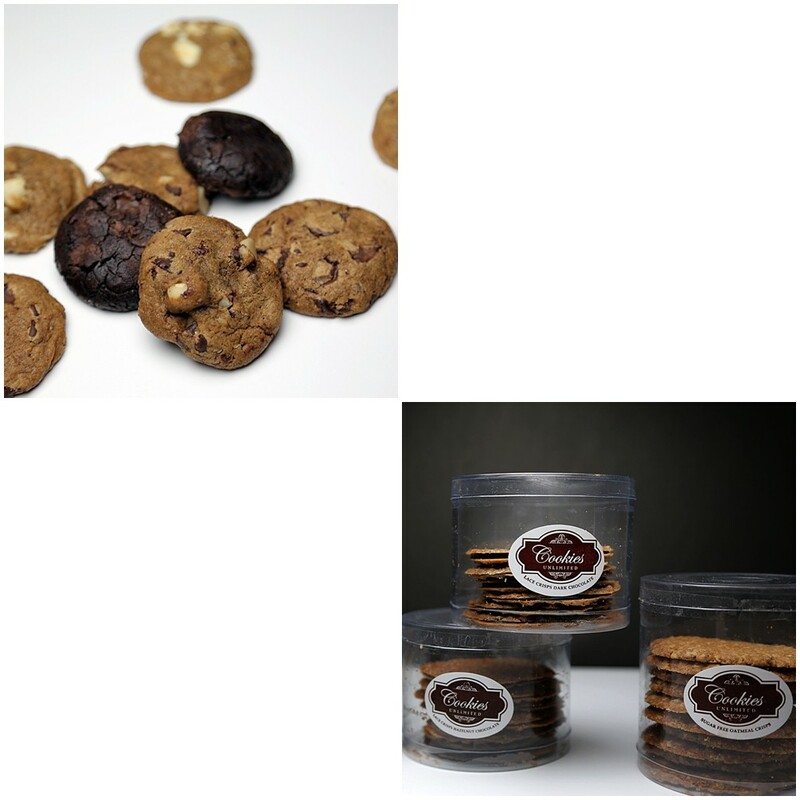 The Chocolate Chip Macadamia Cookies and Dark and White Chocolate Chip Cookies snagged my willing palate's attention. Really yum! Big thanks to Studio A Photographics for helping me out!